A group membership subscription allows you to have unlimited access to all online group classes offered here (see list below). There is no separate fee for each class. That means you can drop in to any class at any time. You do not have to worry about commitment and attendance. No compulsion to attend each class every week. But yes, if you like, you may even attend every single class offered each week - that's hours and hours of learning and mentoring gained for a minimal monthly membership. All group online classes are conducted through the Zoom application (will be provided). You can access the classes from your home or anywhere in the world as long as you have a laptop and internet access. You can also access the classes on your mobile. All online group classes are interactive - you will be able to see and talk to the teacher online. You will not be the only student attending. Other members will also be participating in the class. Furthermore inclusive in the group membership is access to private links of the class audio recordings. So even when you are unable to attend the classes online, you can still listen to the lessons given in your free time. Also when you join as a member, you become a part of the community where you will receive regularly inspiring and enlightening content as well as Q&A support in group sharing. Access to all online group Meditation classes. Access to all online group Veda classes. Access to all online group Gita classes. Access to all audio recordings of all the above stated group classes and selected special events. Receive regular content sharing, Q&A, motivation and mentoring on Whatsapp broadcast. Receive exclusive discount for future programs, workshops and events. Click on the Paypal button above to pay and subscribe your membership now. The group membership subscription is $25 per month only. Upon completion of payment, you will receive an email with the access details for your online classes within 24 hours. When you sign up for the participation membership, you do so without risk. 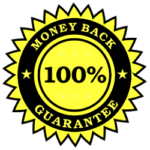 I offer a 100% money-back guarantee on all subscription for up to 30 days. If you are dissatisfied with the online classes or materials shared for any reason, simply send me an email and I’ll refund you your money immediately. No questions asked. Yes, it is a monthly recurring subscription. You will be billed each month automatically. Yes, your payment is handled securely by Paypal. This entire site is also encrypted with 128-bit SSL. Yes, you can cancel your subscription at any time directly on your own or you can email me and I’ll get it done. You can email me at yogirakeshnair@gmail.com Feel free to ask me questions about the classes and membership as well as if you need any help from me on subscription. You can also use the Contact Page to contact me.